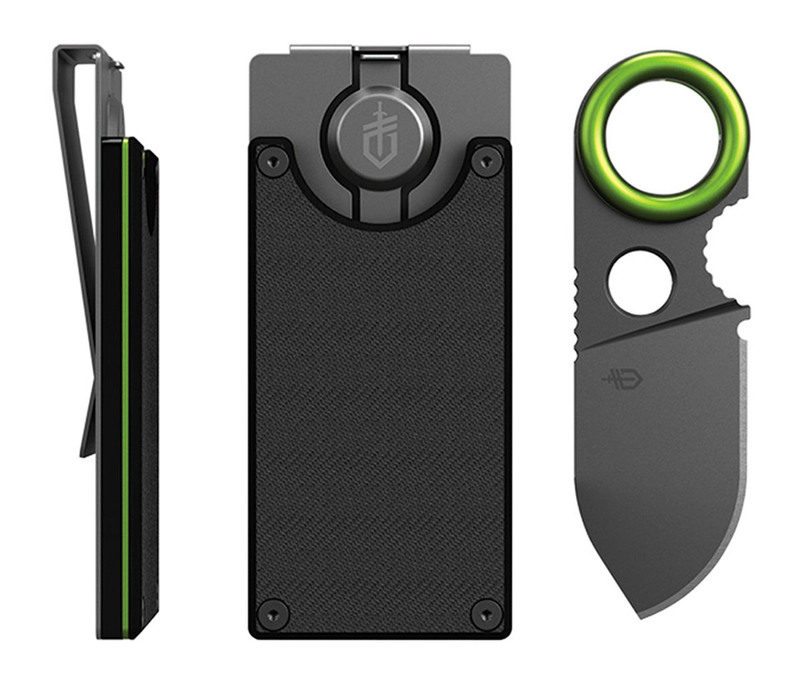 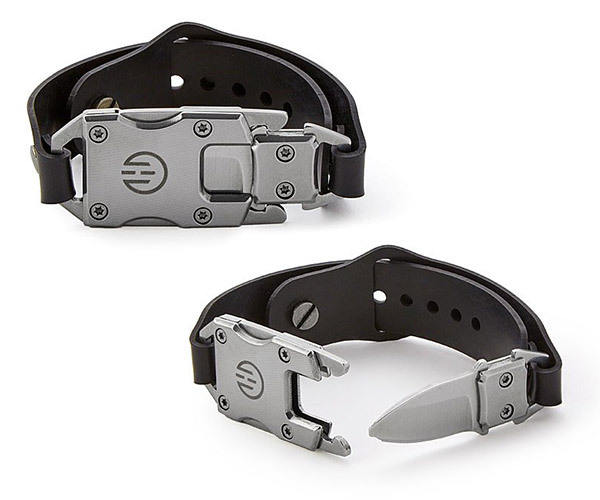 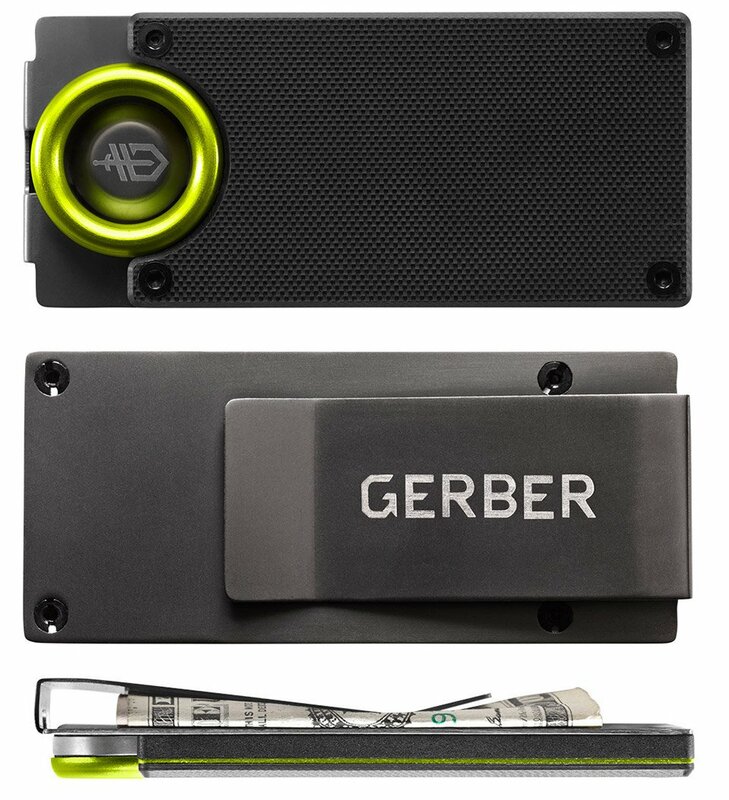 Gerber’s money clip is designed to hold cash and up to five cards, and packs a secret – a 1.75″ fine-edge stainless steel blade for everyday cutting or emergency needs. 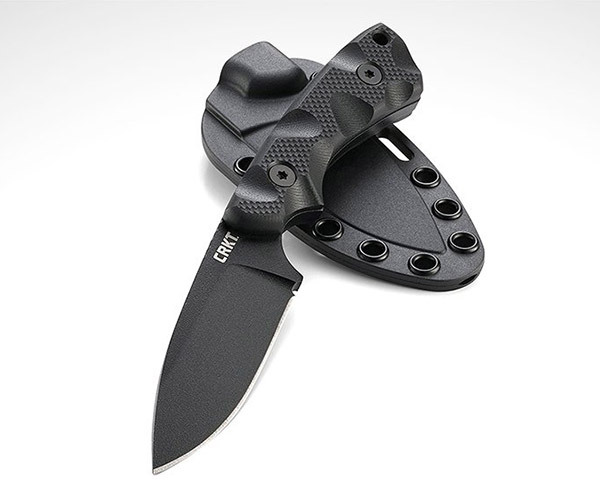 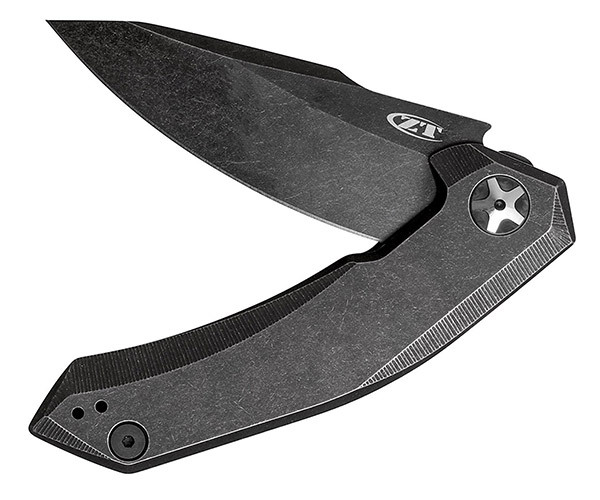 Its body is made from rust-proof titanium-coated steel with a G-10 front plate. 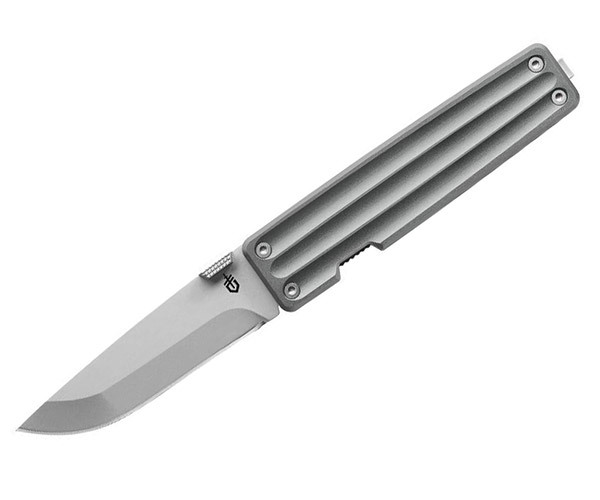 Measures 3.6″ long when closed.